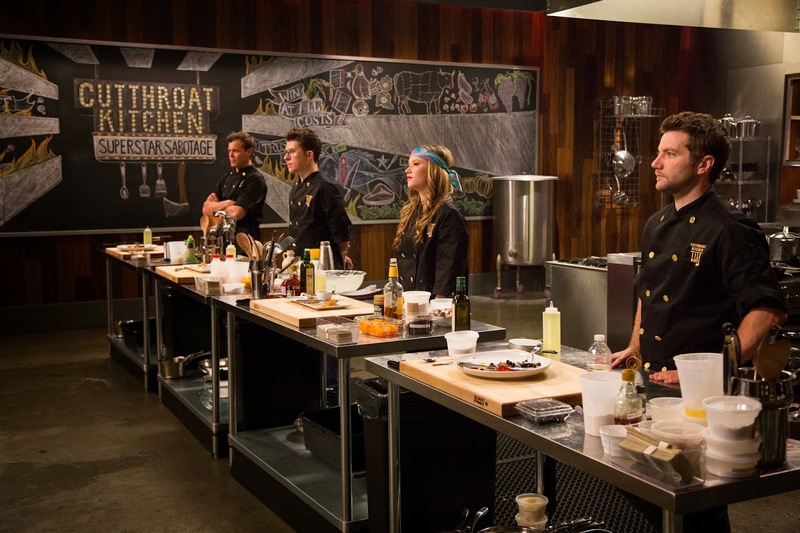 Cutthroat Kitchen is a show on Food Network TV. I currently watch it, and am a fan! I can't wait for October 8th, when a new version of that show is to be aired. Cutthroat Kitchen Superstar Sabotage. Just the name alone sounds promising! For me, I love watching food competitions and shows. They give you inspiration in your own kitchen to try new things and go outside the box. They also give home cooks, and real chefs, a chance to win in a competition. Those are always fun to watch, picking favorites along the way. You may recognize some of the chefs as they come on the show. I remember some of them from shows like Top Chef. 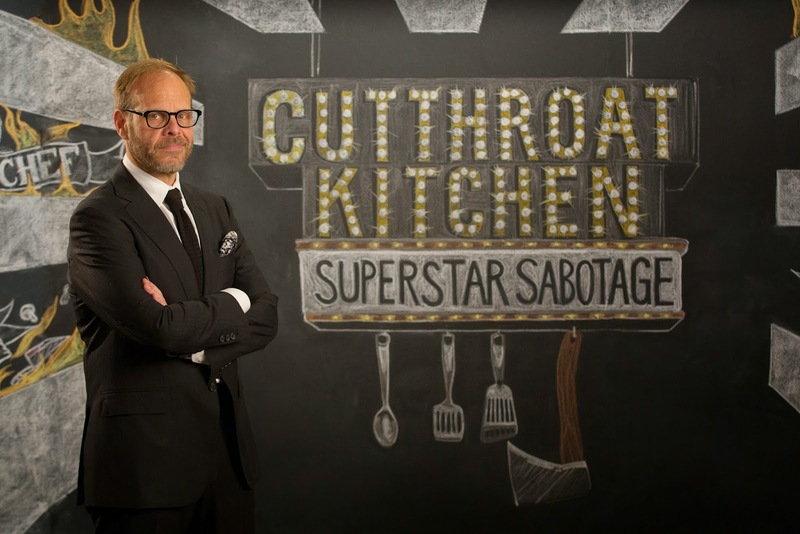 Alton Brown is the host of Cutthroat Kitchen Superstar Sabotage, which you will remember him from Iron Chef Canada. There will be only 5 episodes to this series. 16 well-known chefs will battle it out showcasing their cooking chops and sabotage skills. One will be crowned the winner, gain ultimate bragging rights and have a $75,000 donation made to the charity of their choosing. Be sure to check out this great new show on October 8 at 9pm est on Food Network TV. The grand finale is November 5th! Also check out the Food Network's website for shows, recipes and more. As well as get their tweets. 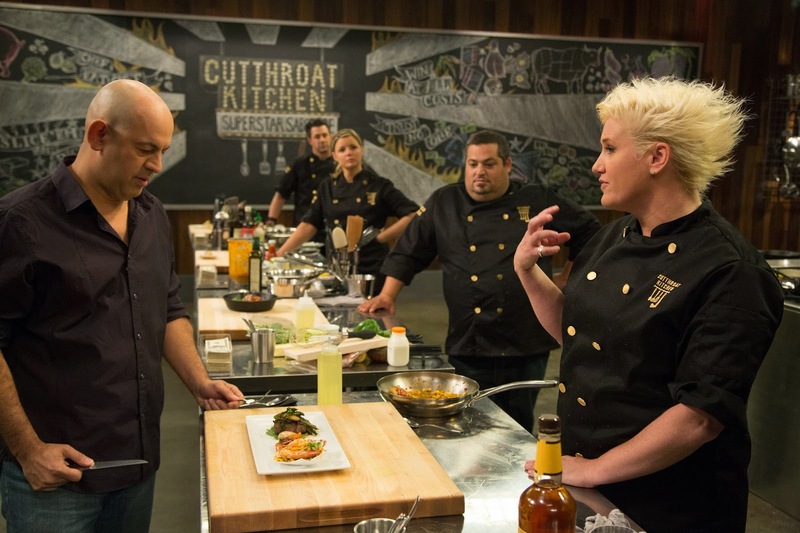 And be sure to check out Cutthroat Kitchen Superstar Sabotage's website too for all the behind-the-scene stuff! **Compensation was received for posting. 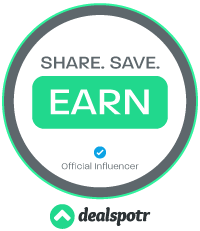 Opinions are owned by this site and in no way influenced. Sounds like fun - and hard work for the contestants. I will plan to take a look at that show. We enjoy "Carlos' Bakery" and the "World's Greatest Baker."